The following is an overview of human rights violations in Iran on January 4th, 2019 based on the information compiled and verified by Human Rights Activists News Agency (HRANA). (1) Golrokh Iraee, a civil rights activist and Evin prisoner of conscience, has written an open letter to protest human rights violations in Iran. According to Hrana, Golrokh Iraee was arrested along with her husband on September 6, 2014. She spent 20 days in a solitary confinement in Evin prison before being released on a bail of 800 million rials [approximately $19,000]. On October 24, 2016, she was arrested again without a warrant. She was sentenced to six years in prison for blasphemy and “gathering and collusion against the regime.” She was later granted amnesty per Article 134 of Islamic Penal Code, which reduced her prison term to 2.5 years. Iraee’s husband Arash Sadeghi is serving a 19-year sentence in Karaj’s Rajai Shahr Prison. (2) Esmail Bakhshi, a detained trade unionist who has been released on bail, has written an open letter to protest physical and mental abuse, interrogation, and tortures in prison. He invited the minister of intelligence, Mahmoud Alavi, to a debate. He is a workers’ representative of Haft Tappeh Sugarcane Mill and has been released on bail on December 12. He was detained for 40 days in prison. (3) A young Kurdish Kulbar (border courier), Yaghoub Kamyan Niksirat, was shot and killed by a border patrol agent shooting in Urmia. 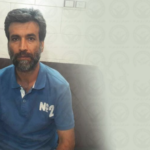 (4) Mohammadreza Nematipour, a worker of Iran National Steel Industrial Group (INSIG) was arrested and transferred to Sheiban prison in Ahvaz on January 2nd. 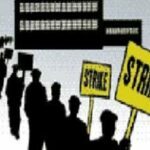 At least 8 workers of INSIG are still in prison. (5) Two Arab citizens were arrested in Ahvaz on January 2nd. Khalil Khasarji and Hashem Afari’s whereabouts are still unknown. (6) Two construction workers were killed and injured by avalanche at Shemshak-Dizin road because of negligence in the oversight of safety conditions. (7) A member of parliament, Amir Khojasteh, announced that four people who were involved in a high-profile corruption case, were sentenced to death. He added that 31 people have been charged with bribery, fraud, and embezzlement in this case and he has been requested public execution in Tehran Azadi square for all of them. 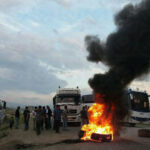 (8) Farmers of Varzaneh in Isfahan province have protested for 13 consecutive days regarding their water right. Water scarcity is one of the greatest challenges in Iran. Human Rights Activists News Agency (HRANA) – On the shore of the Caspian Sea in the city of Tonekabon, authorities at Nashtaroud Prison are still withholding medical care from political prisoner Mahin-Taj Ahmadpour, who has now been on hunger strike for ten days. Sentenced to 10 months in prison for her participation in the January protests, Ahmadpour has been on hunger strike since September 10th, in protest of her restricted access to both medical care and the prison telephone. Her strike is also a revolt against prison authorities who, as a form of coercion or harassment, reportedly threatened to open new charges against her. An informed source told HRANA that prison officials have displayed apathy toward Ahmadpour’s anxiety about her condition. “On Thursday, September 13th, Ms. Ahmadpour felt sick and asked prison authorities for a transfer to an outside hospital, or to allow her family to bring medications to her, but the authorities ignored her pleas,” the source said. Concerned at her frail state and steep drop in blood pressure, Ahmadpour’s ward mates brought her to authorities again in hopes of obtaining her treatment. A few hours later, the ward mates learned she had instead been transferred to solitary confinement. Per her treatment plan for anemia, Ahmadpour should receive seven units of blood every month. An informed told HRANA that monthly blood infusions were also recommended for her as a preventative measure against leukemia. Despite her diagnosis and supporting medical documentation, however, prison authorities are adamant about denying her requests for a medical transfer. 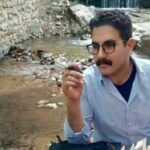 Ahmadpour was first sentenced May 2, 2018, in Branch 101 of Tonekabon Criminal Court No. 2 to serve a six-month prison sentence on a charge of “disrupting the public peace through participation in an illegal gathering.” On August 11, 2018, Tunekabon’s Revolutionary Court compounded the sentence with four months’ imprisonment for “propaganda against the regime.” As evidence against her, the court cited a combination of law enforcement reports and images and video taken during the January protests in Tonekabon. 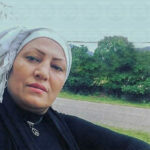 HRANA previously reported on Ms. Mahin-Taj Ahmadpour’s third day of hunger strike in Nashtaroud Prison.